What do you expect to see in a chocolatier’s collection? The favourite, artisanal chocolates of a master chocolatier? Rich, luxurious packaging that shows the exclusivity of such a selection? Too much spend for too much sweet? The answer to these questions is usually yes, except when it comes to the Beyers Chocolates Chocolatier’s Collection. This range breaks the mould, as you get all the trimmings and toppings of a luxury box, but at a deliciously affordable price. The high-quality collection is made up of four boxes – Classic, Truffle, Cherry, and Turkish Delight. Two rich brown base colours, infused with a hint of magenta were evenly spread to represent the rich and sweet chocolatey goodness packed inside each box. Four very bright and distinct signature colours were carefully selected to mirror each hero ingredient. From bright cherry red to rich classic brown, the Chocolatier’s Collection was designed to ensure it stands out in colour and content. At the start of this creative journey, Stratitude wanted to introduce a brand identifier that Beyers could proudly own and use across more than just the Chocolatier’s Collection. The first step was the introduction of a signature pattern, made up of the Beyers “B” and a chocolatey swish. This was followed by using chocolate swirls and highlighting the “Handmade in South Africa” Beyers stamp. By combining the two gently, you have a new and improved Beyers brand recipe. The Chocolatier’s Collection is delicious inside and out. For Stratitude, the love is in the detail. So very special care was taken to perfect every inch of every box, ensuring that they were not only unique but memorable too. For Beyers, the love is inside the box. Signed and sealed by Kees Beyers himself, the new Chocolatier’s Collection is the true heart of Beyers. “Stratitude really hit the mark with the new designs, while the price is still highly competitive. The brand has been elevated with an upmarket, more luxurious look, which does the contents justice and with premium chocolates inside, you get huge value for your money,” concludes Kees. 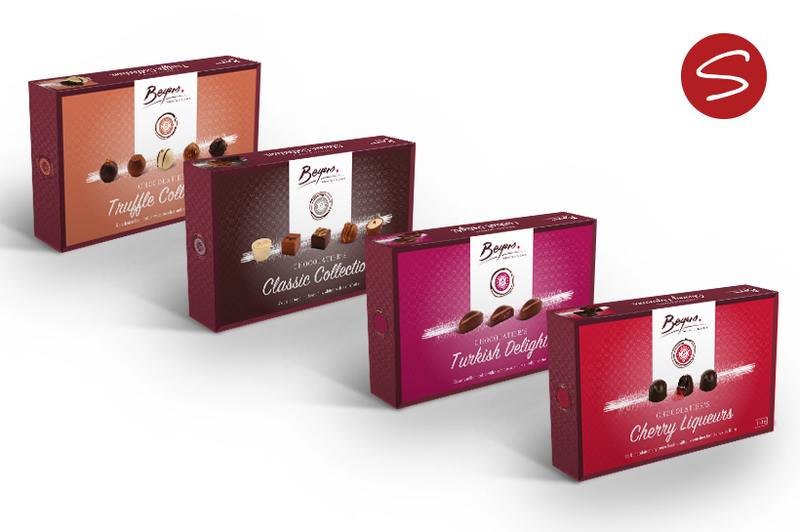 The Chocolatier’s Collection is available at major retailers throughout South Africa and at all Beyers Chocolates factory shops, as well as in their online store. The boxes can be bought individually, or as a beautiful collection of four, to treat someone special to the perfect gift.